Pahoran saw the grace or silver lining in Moroni's anger. He must have known, as Father Lehi taught, about opposition in all things (see 2 Nephi 2:11). 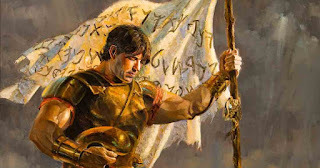 Pahoran had seen that Moroni was a strong man spiritually and emotionally. He knew the intent of Moroni's heart and was able to perceive his comrade's boldness and anger as truly being love and courage, in defense of the Nephites. Keeping these strengths and weaknesses in mind, it occurs to me that they're two sides of the same coin. Sometimes my biggest wound is getting hurt by investing in people quicker than they invest in me... conversely, that also leads me to love people more than I would otherwise. I know people who, because of their addictive behaviors, become the best addiction therapists. With grief comes compassion. 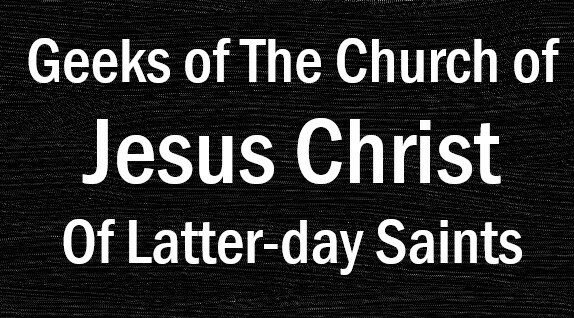 With trials come faith (see Ether 12:6). I always read this scripture in seminary in the frame of mind that weaknesses would be taken away from me. However, it was pointed out to me in a BYU religion class that the actual scripture says "weakness", which I take to mean the natural man (see Mosiah 3:19). Because of the Fall of Adam, we are subjected to a fallen world. Because of this fallen world (aka our weakness) we are given the chance to be made perfect in Christ (see Moroni 10:32-33), where through Christ's atonement we are taught and changed to where our anger and boldness can be used as "greatness of heart" for the cause of God. Happy Father's Day! To complement my Mother's Day post from last month, I wanted to do a Top TV Dads. Too often fathers are degraded and viewed as unimportant in the media, so let's celebrate the ones who were actually good. To be fair, he was a bit of a permissive dad at times, seeming to want to appease his son Takato. However, he also proved to be a big support throughout the season. When Takato's mom was frantic about the Digimon, Takehiro was level-headed and trusted Takato to be safe and smart and mature. 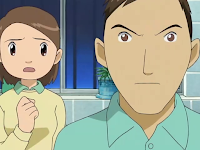 Even before he knew about the Digimon, Takato was seen having a friendly, healthy relationship with father, talking to him about school and everything. He missed the first 28 years of his daughter's life due to a magically-induced coma, but after the curse was broken he strived his hardest to be a good father to Emma. He struggled with the idea of having another child, causing him great fear, but he seemingly conquered that fear (despite leaving Neal behind during various adventures). 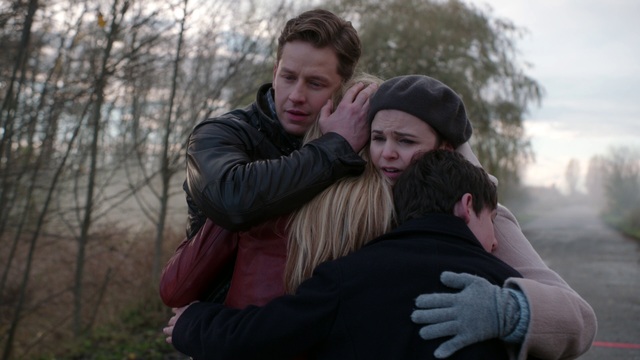 Despite being the same age physically as his daughter, he and Emma were shown to have many heart-to-heart moments, including when she was grieving over the loss of her boyfriend. Let's start with the fact that he was a single father after his wife walked out on him. For years he cared for Iris on his own, being a solid male influence in her life, leading to healthy dating relationships for Iris. Now let's fast-forward to when he became foster-dad for Barry, after the death of his mother and incarceration of his father. Sure the transition was bumpy, but he developed a great relationship with Barry, supporting him, even though he didn't understand Barry's wild tales about the Man in Yellow. Their relationship was solid enough that Barry brought him on to Team Flash not long after donning the red suit. Finally, decades after his wife left, he met his son Wally. It was rough at first, trying to parent too fast, but after slowing it down, Joe was able to be a solid influence for Wally as he became Kid Flash. While his wife is a piece of work, Jack was very compassionate and loving towards his two kids. Granted, sometimes this compassion bordered on cluelessness. 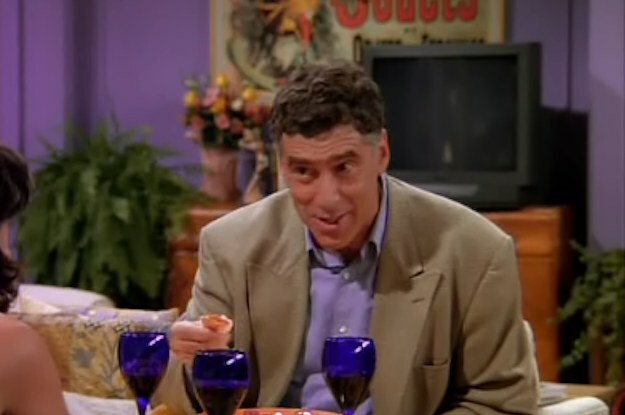 While his wife was a bit more nasty towards Monica, his negligence was a bit more passive. All the same, despite his faults, he genuinely loves his children. No moment portrays this more than when he came to comfort Monica after her break-up with Richard. After seven seasons of life lessons of his own (plus 14 unseen years), Cory became a bit of a mix of his young adult self, his father, and Mr. Feeny. Not only was a loving father (albeit crazy and quirky) to his own children, but as a teacher he was also a father-figure to some of his daughter's friends, especially Maya. Like Mr. Feeny before him, he tried to teach life lessons all the way along through middle school and into high school. We've got two incarnations of this character to look at, both amazing fathers. The original Pete, Rose's biological father, was a bit of a clever airhead, schemes running through his head and driving his wife crazy (not that she needed help). 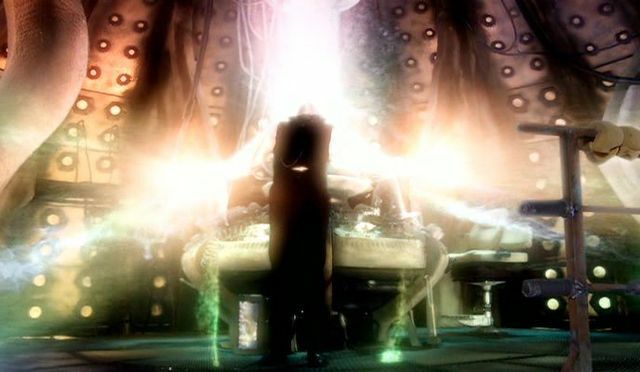 When adult Rose showed up suddenly with the Ninth Doctor, he was willing to sacrifice himself to set the timeline straight, all for the sake of his daughter. Now jump to the parallel universe, Pete Tyler never fathered Rose, but he became the adoptive father for her after the Battle of Canary Warf. 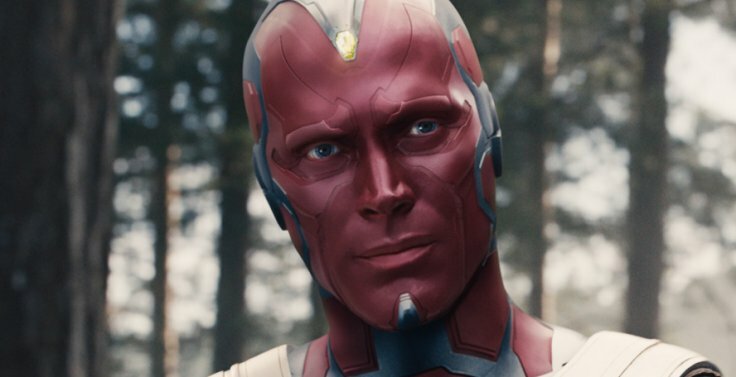 During the battle, he risked his life to save Rose from falling into the void, despite the risks to the universe. 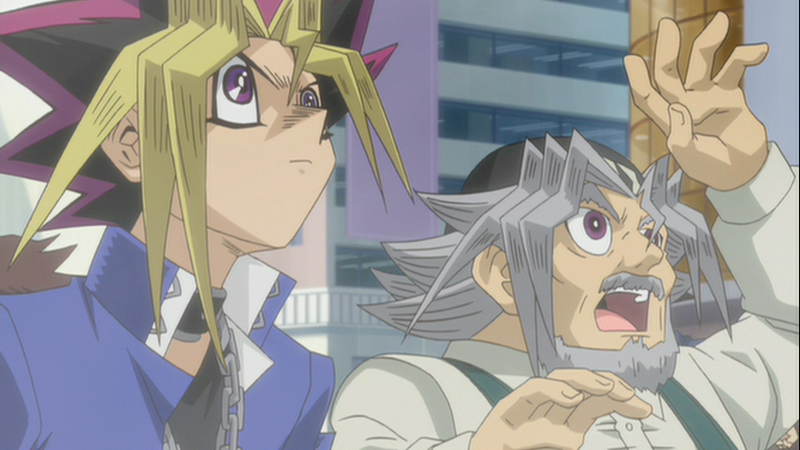 We don't particularly know what happened with Yugi's parents (his mom briefly appeared in a Japanese episode once), but Grandpa Moto seemed to raise Yugi through his teenage years (if not even earlier). Despite all the crazy battle (and all the times his soul was trapped), Solomon stuck it out for his grandson and his friends. Perhaps it was his understanding of the Egyptian origins of it all, but he was surprisingly trusting of Yugi running into battle at least half a dozen times between Battle City and the Memory World. Who's your favorite TV dad? Been a bit of a whirlwind, starting a new job and getting acclimated. But in honor of David Tennant coming to FanX this fall, here’s the Tenth Doctor. It was a close between this and The Impossible Planet/The Satan Pit. I think the reason I liked this story the most has to do with how the Doctor defeated the Cybermen. I wrote a longer post about it on my personal blog, but for the sake of brevity: I got something that was powerful for me about the power of choice (agency), pain, and the purpose of life. 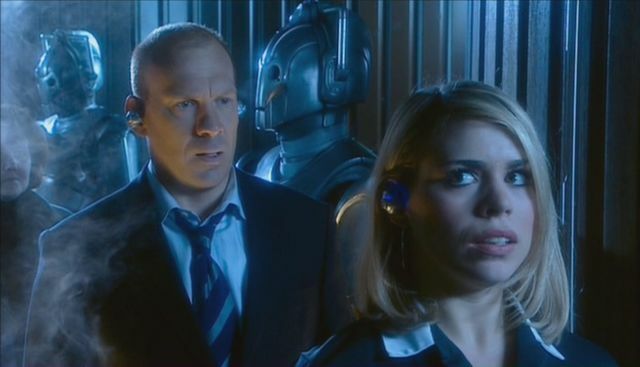 To me, it was like the Cybermen's plans were analogous to Satan's plan for God's children. The joke of all Doctor Who episodes. It was the first Doctor-lite episode and it had potential. However, the monster in this story was absurd looking. Add into that Elton's flirting and manipulation of Jackie Tyler... it was just awkward. I don't know if I know a Whovian who enjoys this episode. Back in the Third and Fourth Doctor era, Sarah Jane Smith was a popular companion (even a favorite of David Tennant). 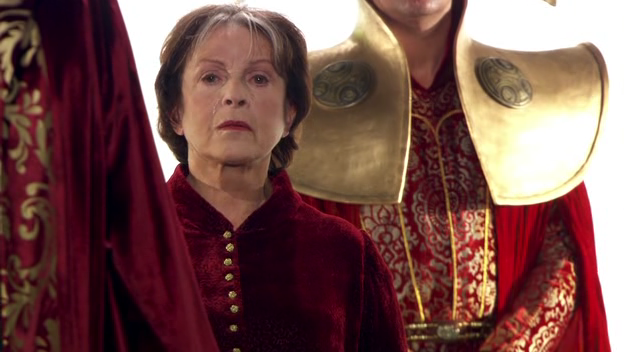 So when she returned for Doctor Who story, it set a great prescedent for homages to Classic Doctor Who. This story also set up for a spin-off series, "The Sarah Jane Adventures", which started about 2 years later. I would love more episodes like this, bringing back Classic companions for a one-off adventure. DONNA! I can't say enough how much I love Donna. Despite being a Whovian Christmas tradition, I'm actually not a super big fan of many Christmas specials. This one is the exception. 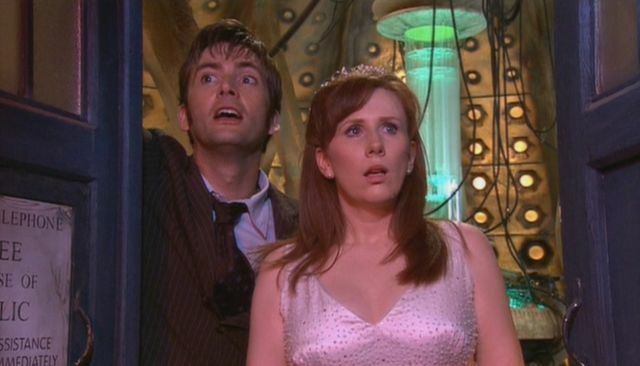 First of all, we got sassy Catherine Tate as a brilliant one-off companion (later to be a long-term companion). She was also (and would later be) a breath of fresh air to have a companion with no romantic attachment to the Doctor, after Rose's departure. After such a heavy season finale, the light-hearted combination of David Tennant and Catherine Tate left us with a delightful yuletide adventure. The biggest problem with this story is that it was forgettable. I have to strain my memory to remember how this episode went. Just can't say I really enjoyed an episode, with the basis being jumping from car to car to save Martha. On the plus side, it did include the return of the Macra, last seen in the Second Doctor era. Also, on the plus side, this story did have the Face of Boe, which left the "prophecy" of the Master's return. Speaking of the Master's return, the Master finally returned in two different bodies after 10 years. Last seen against the Eighth Doctor (previously against the Seventh Doctor), we got this three-part finale to reintroduce this classic villain. The Toclafane were chilling and thrilling for me and it freaked me out when I learned their origin. This story also did a good job of wrapping up the season, pulling in elements from throughout Martha's adventures (Harold Saxon, "You Are Not Alone", Lazarus, etc.). 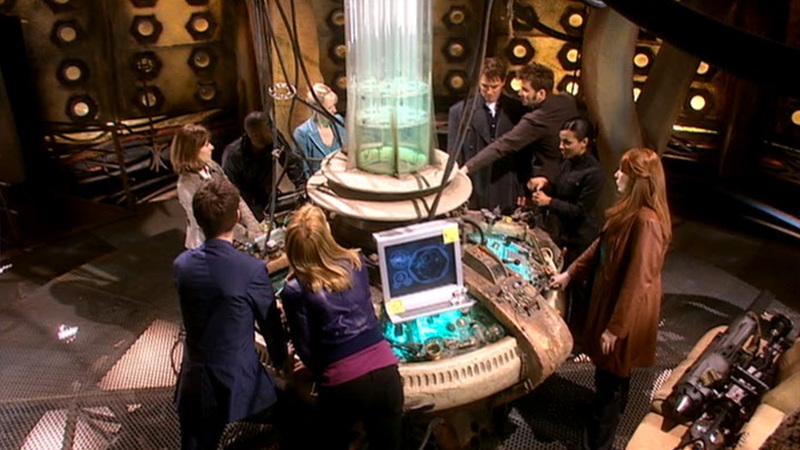 To culminate the end of the Tenth Doctor's regular episodes, the Doctor had all his allies from the past several years team up to fight the Daleks: Donna, Martha and UNIT, Sarah Jane and her friends, Jack and Torchwood, and Rose and her family. It made for an epic two part finale. 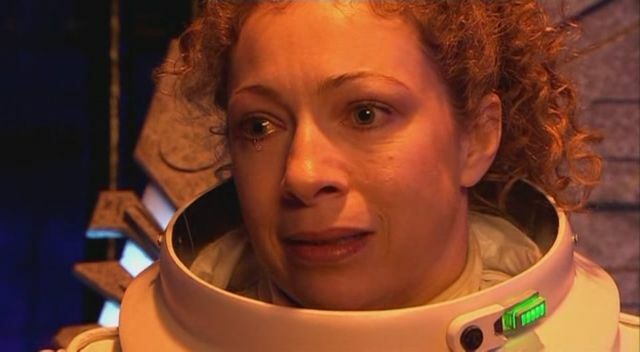 And of course every fan of the Doctor will remember Donna's fate... even though she won't. So despite it being the most heart-breaking companion exit I've seen (and I've seen almost all), it was a fulfilling end... even if I hate it. Another, mostly forgettable episode. I liked the Ood a lot more in "The Satan Pit". It worked a lot better. Looking back, it kind of feels like the only purpose of this story was to set up the appearance of the Doctor-Donna and the end of the Tenth Doctor's song. Also, I really don't know how I feel about the passive Ood turning his master into an Ood.... that's an odd Deus Ex Machina, even for Doctor Who. This story got the honorable mention because of the classic introduction of River Song. It was a long-term, complicated project for us to get River's story, since it was all out of order. Numerous fan have tried to piece her story together from her perspective, but for us and the Doctor this is where her story began. I loved this episode because it had multiple mysteries layered perfectly together: the Vashta Narada, the missing people, River Song, and Donna's disappearance. As there wasn’t a new season of Doctor Who in 2009, these four specials are often grouped together. This story was unique for Doctor Who, at least among the specials. 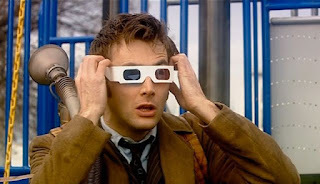 First off, it is the only Easter special Doctor Who has ever done (I could have used one of those this year). Also, it involved no TARDIS travel in getting to an alien world. As a result, the one-off companion never even entered the TARDIS. This was my favorite among the 2008/2009 specials because of its unique story telling. It also did a good job of leading into the Tenth Doctor's swan song with the four-knock tease. This is one of those stories that I don't even remember the full scope of. I remember the Doctor showing up at a Mars space base, but I don't remember much else. It was an odd story and an odd conclusion. I get that the Doctor was fearing his death and regeneration, but they dragged out of the theme far too long. Previous Doctors never got a hint they were going to die, but this trend continued for the Eleventh Doctor and the Twelfth Doctor and it kind of bugs me. Who is she? The Doctor's mother? My favorite part of this was the return of the Master, Donna, and Donna's family. The Master's fate at this point was left vague, so it was great to see him back during the last season finale (I know we had Missy in the meantime, but I was pleased to see the John Simms version of the Master again). It was also nice to get a brief cameo of all of the Tenth Doctor's cohorts before his regeneration (According to the Eleventh Doctor in the Sarah Jane Adventures, he went to see ALL his previous companions at that time). 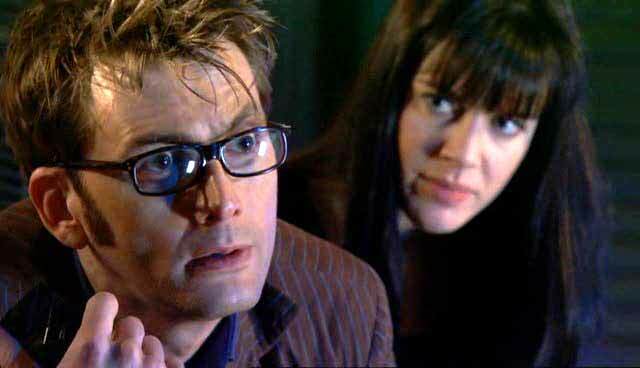 Favorite Companion: If you couldn't tell by my thoughts on "The Runaway Bride", I'm a big Donna fan. After Martha and Rose's romantic feelings for the Doctor, I liked having a breather. Tie into all of that that Catherine Tate is a fantastic comedian, it gave a lighter feel to the Tenth Doctor's adventures with Donna. I also love the character development for Donna. She went from a sassy, insecure temp to the savior of the universe. That development in seeing her own worth inspires me. Add into all of that her tragic ending and it gives a fulfilling (though heart-breaking) character arc. Least Favorite Companion: For the record: I don't dislike Martha. I just like her the least. My biggest problem with Martha was that, in my opinion, she had little character development throughout the season. She pined after the Doctor, only to have her character development all happen off-screen in the finale. That being said, I enjoyed her character development in the year that never was and I enjoyed her when she returned the following season. In the end, I guess that's my issue... I liked her more after she left the Doctor than when she was with him. 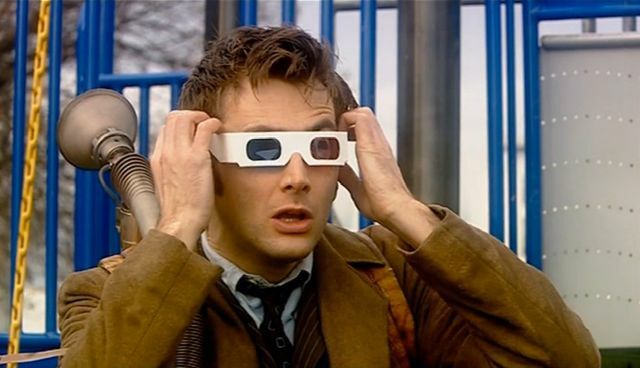 Are you planning on meeting David Tennant this fall? What about any upcoming Doctor Who cosplays?